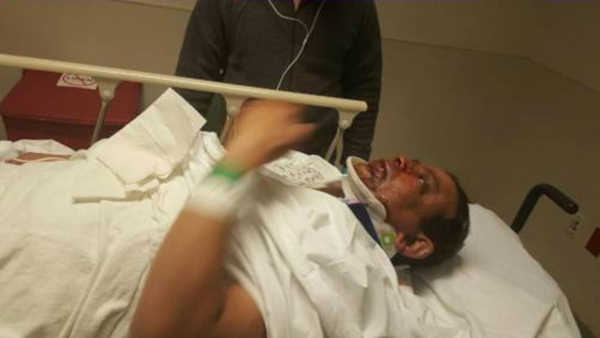 SOUNDVIEW, Bronx (WABC) -- A cab driver in the Bronx was beaten and robbed while on the job. Several of Ataur Rahman's teeth were broken, and his face was severely cut when he was attacked with a bottle on Saturday night. Rahman was also robbed of more than a thousand dollars cash, and his jacket. Police arrested 16-years-old Rondell Mines on Sunday morning, and charged him for the robbery. Police are still currently looking for a second suspect.